A great deal of my time in recent days has focused on the research of airships of the late 1920s and early 1930s. One such airship — the Norge — is famous for being the transportation of the first verified expedition to reach the North Pole (on May 12, 1926 — 83 years ago). The expedition was composed of Umberto Nobile (the designer of Norge), Roald Amundsen (expedition leader), and Lincoln Ellsworth (polar explorer and source of funding), among 13 others. 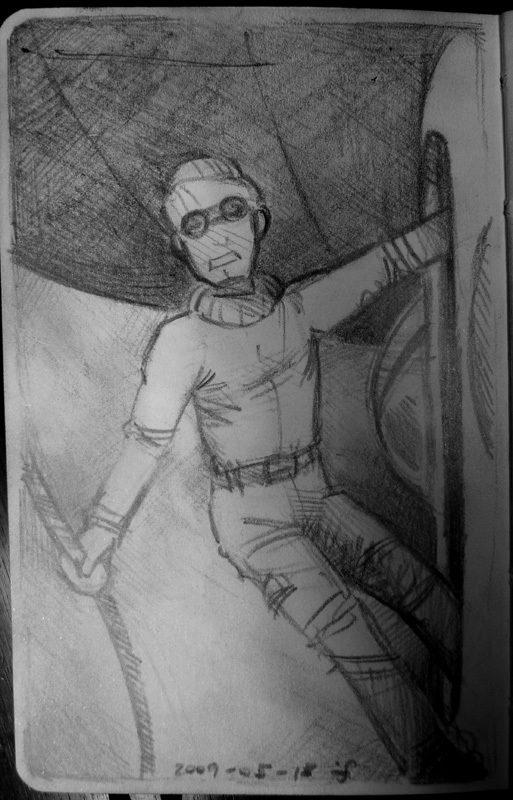 In this illustration, we see an unidentified explorer leaning from the control car on the ship’s arrival at Teller, Alaska on May 14, 1926, ready to assist with landing operations.